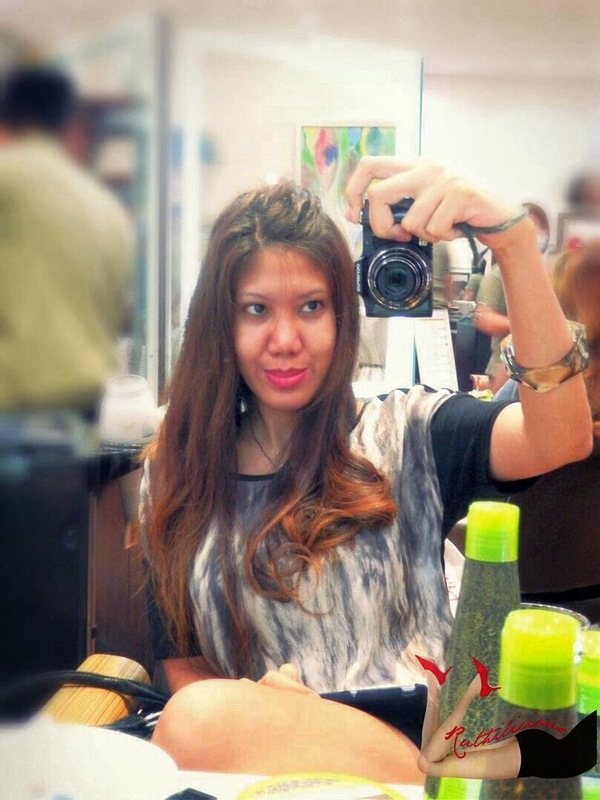 In Piandre Salon at Bonifacio Global City, Macadamia Oil is served and used differently - not as an ingredient to an appetizing meal, but as a treatment to a dull, damaged hair. I was invited to try one of the Macadamia Oil Natural treatments, and even though I want to stay loyal with my hairstylist, I thought it would be nice to explore new products and services. I felt that my hair had been damaged and cooked from occasional dyeing, styling and blow-drying. It was seriously screaming for a treatment. First things first, how does Macadamia Natural Oil work to renew hair's natural texture? I was holding on to the promise of the renewed health, shine, bounce and manageability. First, let me take a selfie of before the treatment. Click Read More to see more of my Macadamia Oil Treatment transformation..
My hair felt heavy, frizzy and dry (probably because of the heat, treatment and the lack of post-treatment love I was giving my hair). The Piandre team assisted me and assigned Rommel. A little assessment of my hair problem, and they suggested the Damage No-More Treatment. This is for a macadamia muse (yes, I am!) that has dry, damaged, and/or chemically processed hair, to bring back the hair's natural shine and beauty. Rommel massaged a Macadamia Oil Deep Repair Masque in my hair. It smells so yummy! It would make you think that the tub of masque is edible. The masque was rested in my hair for 30 minutes, and I was treated to a back and hand massage. It was so relaxing, I wanted to lie down and get full-body massage. My hair was then washed with Macadamia Rejuvenating Shampoo. Two stylists blow-drying my hair. Typical. I have such thick hair. I have not even seen the real drama and "after-treatment" do, but I could already sense the difference in my hair. It feels lighter and smoother - as if I put on a leave-on-conditioner. Almost done here.. So Excited! Are you ready for the big surprise? It was funny when Sarah (FashionEggPlant) asked if this was my real hair. ;) Yes, yes, yes! I love how my hair has revived its shine, beauty, texture and manageability. With Scott Smith (Vice President for Business Development in Asia Pacific and Middle East. Thank you for bringing Macadamia Oil in the Philippines! Macadamia Oil has different products for different hair types and problems. There are shampoos, conditioners, hair masques, treatment and healing oils in different sizes. Price starts at Php 350. 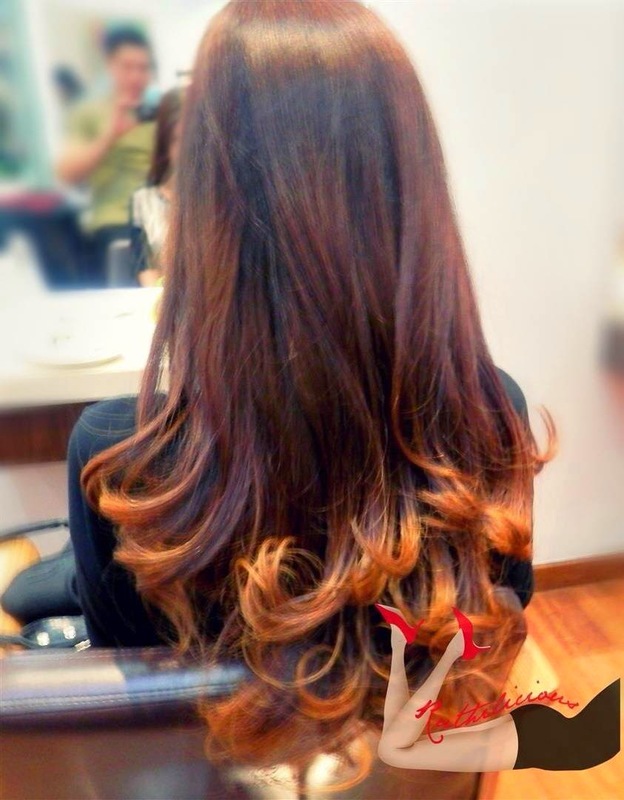 I felt that they are good investment rather than going to salon for treatment every month, or doing occassional blow-drying to cover the hair damage. I was able to take home some Macadamia Oil products and I am hopeful to share my reviews soon. Macadamia Oil and Piandre Salon are giving away 1 bottle of this amazing product. Just follow @piandresalon and @macadamiaphilippines in IG. If you need natural products to treat damaged hair, you can get Macadamia Oil products only at Piandre Salon. I am very delighted about my Macadamia Oil hair treatment, and even after 3 days, my hair still feels light, soft, shiny and manageable (even without blow-drying and styling). Thank you Piandre Salon and Macadamia Oil! Have you tried the Macadamia Oil Hair Treatment? How do you keep your hair healthy and shiny?